It's that time of year when you will find out whether you are on Santa's nice or naughty list, but there is no need to despair even if you have been a bad bot this year. The old man himself has decided to give everyone on his naughty list a second chance, meaning this could prove to be one of the best Christmas festivities yet. Santa has a full bag of presents all packed up so sit tight and wait until he gets down your chimney. The Naughty List is another Christmas themed video slot from Realtime Gaming and it launched in November 2014 on desktop. The game comes with five, reels, fifty paylines and four rows of symbols, and is equipped with a host of excellent extra features such as two progressive jackpots, Santastic Free Spins and Lucky Feature. Every time you spin the reels of The Naughty List it will feel like Christmas time, with Santa, the naughty list, two scantily-clad ladies, reindeer and Santa's settlement at the North Pole acting as feature and high-value symbols. Meanwhile, low-value icons are depicted as Christmas bells with A, K, Q, J, 10 and 9 painted on them. On top of that, you will see presents appear during the Naughty Pick Feature. 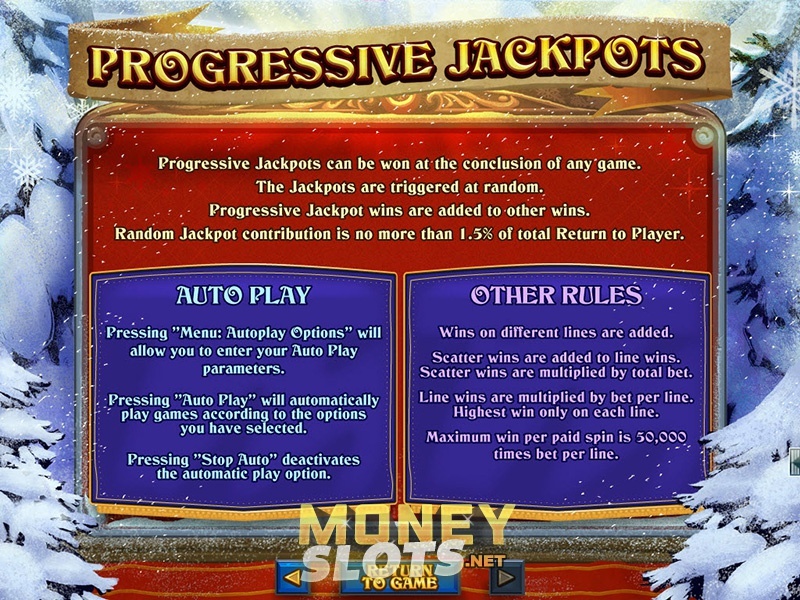 Players have the option to select the number of active paylines, although it is highly recommended to play at maximum 50 lines. Use up and down arrows within Bet to choose the preferred total bet value, which can be anywhere from $0.01 to $12.50, while you can also select between three game speeds. Santa Wild appears grouped on reels 2, 3, 4 and 5, and it will substitute all non-Scatter icons to complete a winning combination. Obtain three, four or five Naughty List Scatters in any position and you will be awarded a payout of 2x, 10x and 500x total bet respectively. Three or more Scatters occurring anywhere trigger the Pick feature where you reveal up to 20 presents to get more bonus coins or higher Free Spins multiplier. Santastic Free Spins are played at the end of the Pick feature, with five free games awarded, where extra Santas and Naughty Lists are added to the reels. Lucky Feature can be triggered randomly at the end of any real money spin, with between 5 and 10 free games played at up to 10x multiplier. The Naughty List is equipped with pretty standard Major and Minor jackpots that are linked to quite a few Realtime Gaming titles. Both of these can strike completely at random, but the good thing here is that all bets placed on progressive RTG slots placed in any online casinos contribute to the jackpot prize fund.